If you’re reading this you probably already heard the first and/or second recording of what is alleged to be Los Angeles Clippers owner Donald Sterling having a racist argument with his girlfriend. His statements, but more so the reaction to them, are extremely illustrative of how race, racism, and racial politics unfold in American society today. There’s so much going on with this that it’s difficult for me to get my thoughts in order so try to bear with me. Sterling uses collective racism to justify his own racist behavior. He doesn’t have a problem with his girlfriend associating or admiring (or sleeping with…) black people as long as it is done in private. He’s saying, “I’m not racist. The world is racist. And I live in this world. So I have to adhere to this world’s rules… And those rules just so happen to be extremely racist.” Sterling is able to cast himself as a non-racist who is simply conforming to the racist status quo. The whole argument is interesting (read: weird?). But one of the most interesting aspects is what Sterling expresses about how his girlfriend, V. Stiviano (who is black and Mexican…), is perceived. “You’re perceived as either a Latina or a white girl… I’m not you and you’re not me. You’re supposed to be a delicate white or a delicate Latina girl.” Basically, Sterling is saying that it’s okay for him as a white man to deal with black people but that a (perceived) white woman’s sanctity is compromised by just associating with blacks. This is an old attitude that dates back to the plantation. I’m not mad at the slavery arguments. I think that Jesse and Broussard have valid points. The NBA is about 80% black and players are routinely bought, sold, and traded to and from teams that are almost exclusively owned by white men. Players are often described in dehumanizing and animalistic ways that are strikingly similar to how whites marveled at the physicality of their brutish slaves. The problem with this narrative is that NBA players get paid a lot of money. (Slaves didn’t, FYI). Granted, team owners and management make a lot more money off of professional basketball than the players and many former players find themselves in dire financial straights. But they still get paid a lot of money. I’m not mad at the comparisons. I get them. But I also think that these types of arguments galvanize the white Right in its attack on black progress. If I was a struggling, poor white guy and I heard Jesse Jackson comparing the lot of NBA players to slaves, I would probably get pretty pissed. I think that attacks on affirmative action, voting rights, and other systemic approaches to black equality would still continue regardless of this kind of stuff, but it doesn’t help. There is a class component to this drama that is increasingly neglected in popular discourse. 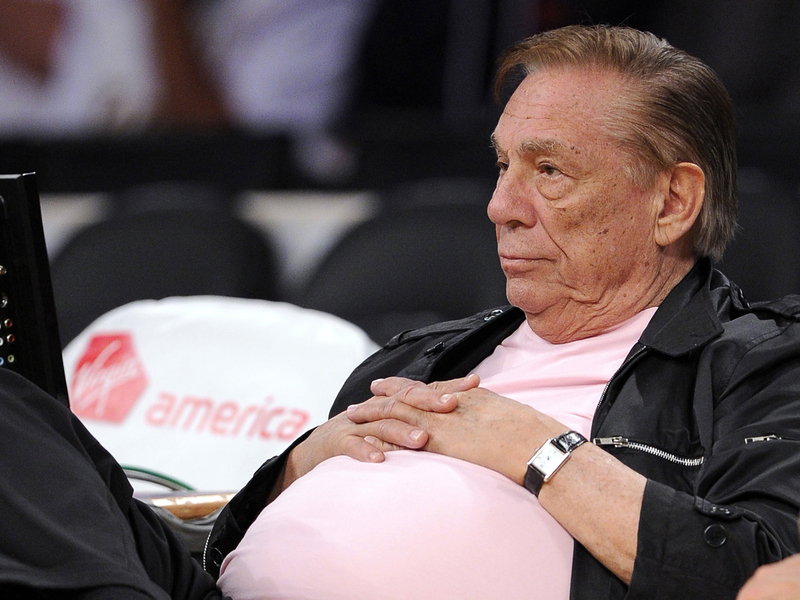 Yes, Donald Sterling and other white owners may view their players similarly to how slave masters viewed their slaves. But if Sterling has a problem with Magic Johnson, one of the most beloved and financially successful black Americans of all time, imagine the contempt he must have for the Latino custodian or the black food vendor who also work in the Staples Center. Much of this outrage is not based on the fact that Sterling is racist but on the fact that he is racist against wealthy and successful blacks. TMZ broke this story. TMZ. What is more, when the Clippers released a statement in response to the audio, they sent it to TMZ. TMZ. Yes. TMZ, the National Enquirer of our era, has been a central vehicle in the unfolding of this drama. Finally, the NAACP gave Sterling a lifetime achievement award in 2009. They were scheduled to give him another lifetime achievement award in three weeks. First of all, how many lifetime achievement awards can one organization give to a guy? I would have thought one would be enough. But seriously, the fact that the NAACP was on track to give two lifetime achievement awards to Donald Sterling shows how out of touch the mainstream black Left has become.